I saw this in Waterstone's as a featured book, and it looked like my sort of thing. A cute story about a little personified animal facing adversity? Yes, that sounds up my street thanks! Turns out, it was just as lovely as I thought it would be. 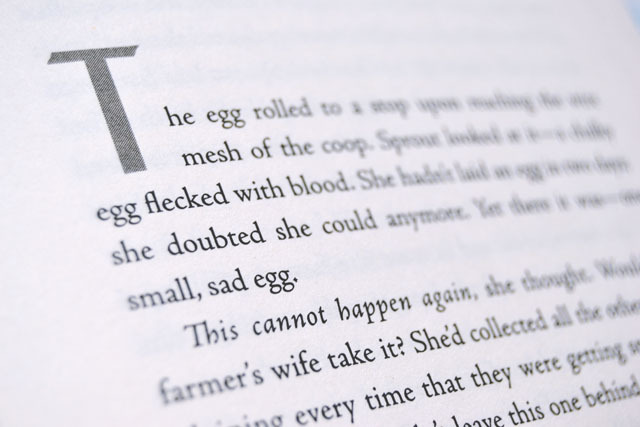 It tells the story of Sprout, a little hen stuck in a coop, who looks out to an acacia tree and wishes she could roam free. Eventually, her chance comes and she flees the coop, desperate to realise her dream of hatching her own chick. 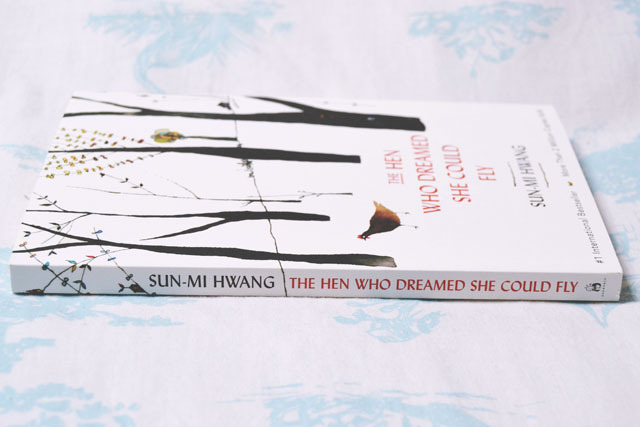 As she becomes a mother, Sprout reveals herself as a fiercely loyal little hen, who will sacrifice everything for her baby. Sprout was an absolutely adorable character. She named herself since nobody else was going to do so, and chose her name on the basis of the connotations of growth and new life. Her tenacity and determination to succeed reminded me very much of Francie in A Tree Grows in Brooklyn, and Scout in To Kill a Mockingbird. She was such an endearing character. 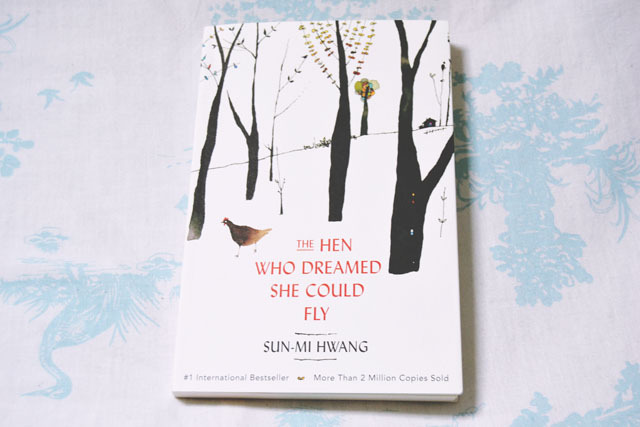 Although The Hen Who Dreamed She Could Fly is a short book, it packs a lot into it. There is not a dull moment and absolutely no filler. Every event is relevant and crucial to the plot. I really appreciate this concise style. The end result is almost that of a fable or a modern-day fairytale. First written in 2000 and released in South Korea, it has become a classic over there with a film adaptation, musical and comic. I'm surprised it took so long to be translated into English but I'm very glad it has been. It's a perfect little book! Ooh sounds like a great read, I'll check it out!